The Smashing Pumpkins’ attempt to claw their way back to relevance isn’t going super well so far, with original bassist D’Arcy Wretzky being left out of the reunion despite assurances from Billy Corgan that she’d be involved and with tickets for the big Shiny And Oh So Bright Tour reportedly not selling as quickly as hoped. Rome wasn’t smashed in a day, though, so maybe things will pick back up once the (mostly) reunited Pumpkins actually put out some new music. 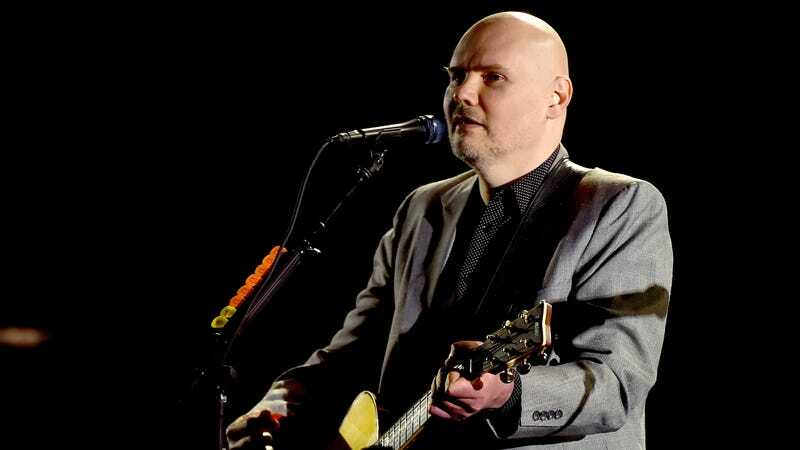 Back in February, we reported on a rumor that the Smashing Pumpkins were working on a new album, but now Corgan has officially teased that they’re actually working on two four-song EPs. As noted by Pitchfork, Corgan posted an Instagram update recently in which he lays out the EP plan and shares some song titles. He also says the first of the two EPs will “most likely” be available in May, but barring a proper announcement, it seems like that could easily change.